Adam Wilcox doesn’t necessarily need to be the center of attention. His insatiable competitive appetite does, however, require that he plant himself squarely in the middle of the action. 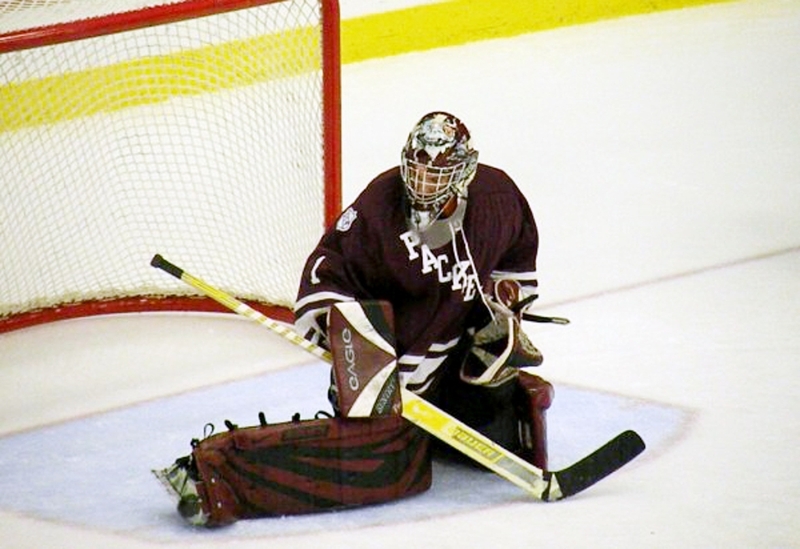 As a goaltender at South St. Paul, that means Wilcox doesn’t mind facing 30 or 40 or, heck, even 50 shots a game. Matter of fact, from the uber-aggressive Wilcox’s perspective, the more shots the better. As a freshman, Wilcox elbowed his way into the starter’s role with his standout play, then backstopped the Packers all the way to a surprise sectional finals appearance before losing to St. Thomas Academy. For years before that he’d been a standout among the standouts at summer elite camps and national advanced festivals. A year ago, Wilcox had a .913 goals-against average and 2.23 goals-against average during the regular season as South St. Paul went 17-5-3. "He's a great high school goaltender, and I think he is a great pickup for the U," said Woodbury coach Wes Bolin, whose Royals beat the Packers in a shootout in the championship game of the South St. Paul Premier Tournament last season despite Wilcox's 44 saves. "He was really good in that game. It was one of those when the game ends and you get back on the bus you say, 'Can you believe we scored four on him?' He was that good. " In the playoffs, Wilcox faced 37 shots as the Packers lost to Mahtomedi 4-1 in the Section 4A semifinals. Also a dual-threat quarterback on the Packers’ football team that has reached this fall’s Class AAAA sectional final, Wilcox’s big-game goaltending skills caught the attention of several Division I colleges, and on Monday the 6-foot, 165-pound junior made a verbal commitment to play for the University of Minnesota. “They are on TV, they are in the center of the state and I wanted to play in my own back yard,” Wilcox said about his decision to play for the Gophers instead of following the path taken by former UM-Duluth standout Alex Stalock, Wilcox’s cousin and boyhood idol. Wilcox, who confounds opposing defenses on the football field with his ability to beat them with his legs or arm, is equally as versatile on the ice. His willingness to roam far and wide from the safety of the goal, combined with above-average stickhandling skills, make him, in effect, a third puck-moving defenseman. Or, when he gets really aggressive, a playmaking center. Perhaps the biggest testament to Wilcox’s ability is the fact that Minnesota offered him a scholarship before his junior season. Typically, the Gophers, and Division I schools in general, are more conservative when locking up goaltenders.